What is the origin of our name "SQlab"? Asclepius (german: Äskulap) in ancient Greek mythology is the healing god of medical arts. With his magical healing power he is believed to be a master of the art of healing like no other. A typical representation of Exclepius is a bearded man leaning on a snake-entwined staff. 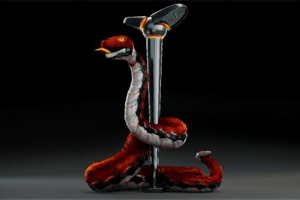 The snake (colubrid) eventually became the symbol of medicine and to this day can be seen used in this context in many medical and pharmaceutical facilities. 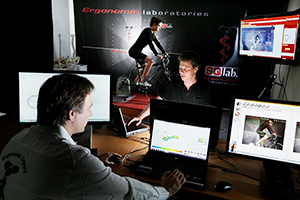 Here at SQlab, with our medical specialists, we place a strong emphasis when developing products on the need for ergonomics and health aspects in cycling. As a result, we have hence adapted our name to the god of medicine in modified form and symbolically use a snake-entwined saddle to complete the logo. This is how our so-called SQ-laboratory, in which research and development of the highest level, has taken place for years with great success. 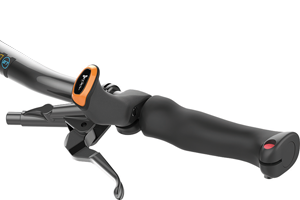 The new SQlab handle series was one of the biggest winners of the Eurobike Award 2018. 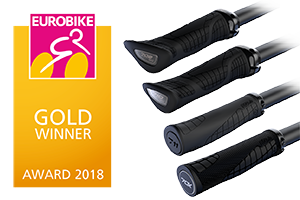 Only the most innovative products of the bicycle and accessories industry receive the Eurobike Gold Award, the best among them are rewarded with the Gold Award. Four handles - for every hand, every bike and every application. 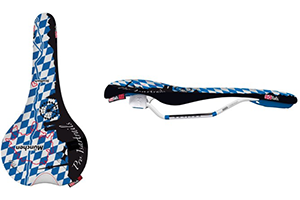 The new saddle for the E-Performance & Gravity area. 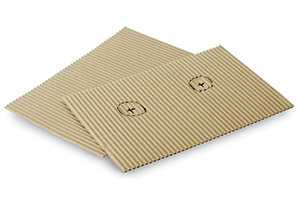 The 6OX is a mixture of ERGOLUX® and ERGOWAVE® and combines their advantages. 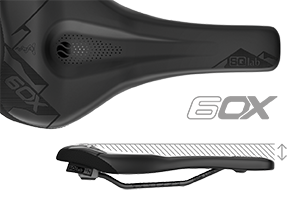 Thanks to the proven and award-winning SQlab stepped saddle shape with the saddle nose lower in level, the 6OX also provides more freedom and less pressure for men and women alike. SQlab develops first own trouser pad! The heart of a cycling shorts is the padding. The new SQ-Pad 12 creates a much higher comfort on longer distances than softer, thicker pads due to the thin, tight and high-quality padding. 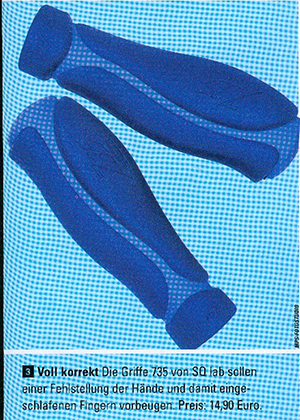 Ergonomics - Comfort - Movement The ERGOWAVE® will be developed comfortably and for a more upright sitting position. The result is the new ERGOLUX series, more space, more movement and less pressure. 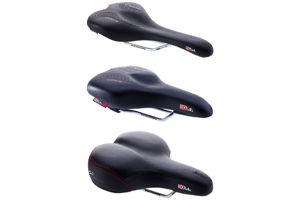 At the beginning three models for different applications and saddle widths will be presented. as ltd. 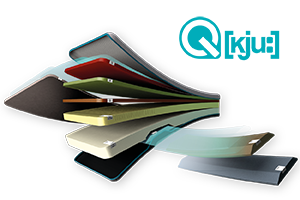 Edition 2017 is the year of the limited ERGOWAVE® special models. 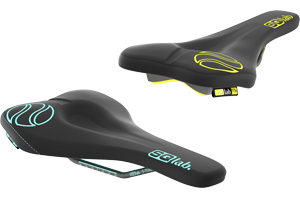 Tibor Simai size of the bike industry and product developer at SQlab receives its second ltd. Saddle model in the colour Flow Yellow. The Endless Summer Edition in Endless Summer Green is intended to celebrate and revive the shared "sitting in the saddle" as an attitude towards life. is weight-optimized Following the groundbreaking success of the ERGOWAVE series, SQlab presents the weight-optimised version. The lightest model starts with just 147g. The new edition of the Innerbarends, which was already developed in 2007, is celebrating great success. After the trend goes again to flatter and substantially broader handlebars, these make sense again. They allow the cyclist to vary the grip position on long exits and at the same time offer the safety of reaching the brake from any grip position. which emerged from a three-year research project in cooperation with the FH and the University Hospital Frankfurt. For the first time in history, the research team succeeded in calculating the forces occurring between the human being and the bicycle saddle down to the deep structures of the body. SQlab develops three limited special models this year! 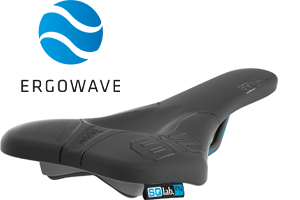 Bike legend Hans "no way" Ray, rock star and bassist of Rage Against the Machine Timmy C. and E-MTB Pro Guido Tschugg get a limited edition saddle from SQlab. SQlab is now represented in 23 countries. Seat bones of all nationalities are now measured. Interestingly, however, no new maximum and minimum values have been added to our statistics. Thus the average values of the seat bone distances between different continents differ far less strongly from each other than assumed. 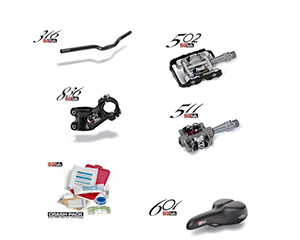 The 602 active DS will be presented for the first time at Eurobike 2014. 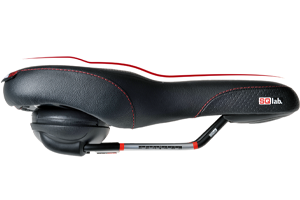 The first saddle with double step for even better support and seating comfort is now available in specialist shops. It is already clear that the new invention has a future. Another highlight for 2015 - the new measuring stool with knobbed plate in a new, modern design. The good old measuring cardboard is obsolete in 2015 and will be replaced by the new burl plate with special measuring paper. 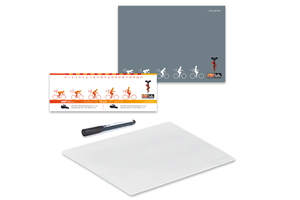 From now on, one sheet of paper is sufficient to determine the exact seat bone distance and creates an even more accurate measurement result. In our iQlab seminars, retailers learn how to read the measuring paper. 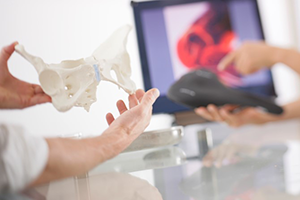 In addition to the seat bone distance, pelvic malposition can also be detected. The SnaQeTeam consists of carefully selected test drivers from all over the world, who complete the SQlab development team of specialists and physicians, which enables SQlab to guarantee an extremely practical development. 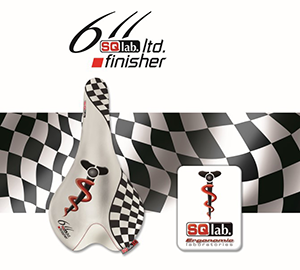 After 10 years full of innovations, which often changed the whole market and gave back the joy of cycling to many customers, SQlab belongs to one of the most copied companies in this field. The strategy to maintain the market lead through a high speed of innovation will be maintained in the future. 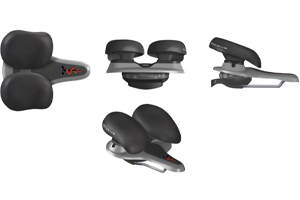 is here The classic Easyseat by Hobson USA is completely revised and gets the SQlab active system. An Isartal hiking club and some ornithologists feel disturbed by the increasing bicycle traffic, join forces and put pressure on the politicians to block the Isartrails for cyclists. After the well-known bomb crater area was closed some years ago, this threat has to be taken very seriously. Together with Christian Henne from the agency Henne Digital, SQlab creates the Facebook page Pro Isartrail and launches a special model. The Isartrails are not closed and are still open to all cyclists. The move to nearby Taufkirchen in November finally creates space. The SQLaboratory is extended by a scientific performance measurement system, with which the performance of the individual muscles during pedaling can be measured. With five different measuring systems, the pressure load in shoes, handles, on the saddle and now also in car seats can be measured and evaluated. Video analysis can be used to observe and evaluate the driver's movements and angles. is introduced The clamping was developed in cooperation with Syntace and does not require metal except for the clamping screw. The result is less weight, better grip and lower manufacturing costs. The first all-round grip, in particular the square/surface shape on the front and underside, provides unprecedented comfort and grip. is transferred to all areas of application The active system is transferred from the sporty 611 active to the other application areas. 610 active, 602 active and 621 active are delivered and provide for the largest growth of the last eight years SQlab. first a setback. SQlab can fall back on handle developments and industrial property rights from the 90s, but still does without a protracted patent war with the German competitor. Reason: The SQlab development department already has several improvements and new grip concepts in its drawer and so SQlab decides to settle the dispute not in court but in the free market, where in the end the better product and thus the cyclist wins. 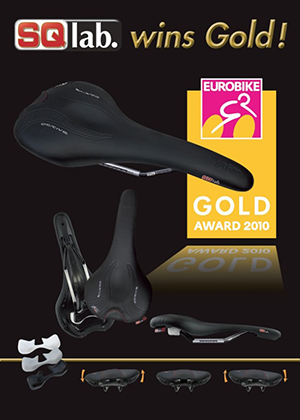 for the 611 active The 611 active is delivered and wins all saddle tests and the Eurobike Gold Award in the 2010 season. 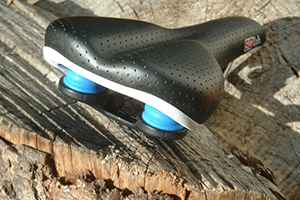 comes onto the market SQlab launches a second model of the limited team saddle with carbon struts. The saddle is sold out after a few days and is traded far above value on Ebay. for Life Foundation Presentation of the 711 handle series for the first time with lock function, three sizes as well as with and without bar ends. 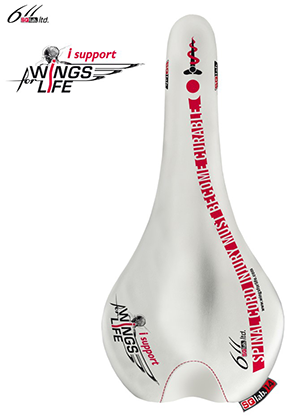 SQlab is committed to the Wings for Life Foundation and launches a special model. The first model of the success story "active" will be presented at Eurobike as a future study, initially in futuristic design. and moves into the neighbouring villa at Fundsbergstraße 27. Research and development now have sufficient space. 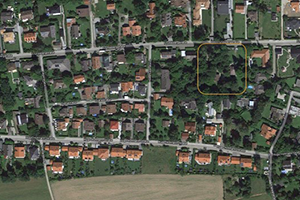 The main camp, however, remains with the forwarding agency in the north of Munich. 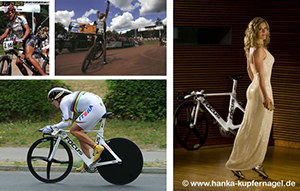 SQlab rider Hanka Kupfernagel becomes world champion in the individual time trial on the 612 and wins in the same year still the DM on the mountain bike and the DM in bike cross. In the next few years, many more SQlab riders achieved DM and EM successes as well as victories and top positions in long-distance races such as the Race across America. 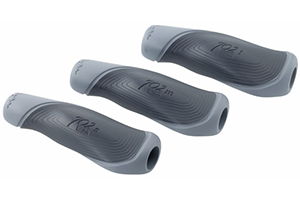 With the grip 702 the SQlab bicycle handles are available for the first time in three sizes. 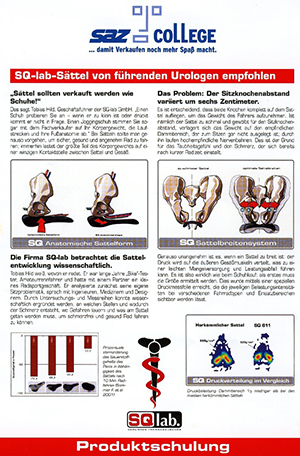 The individual grip width is determined by means of a grip width template. 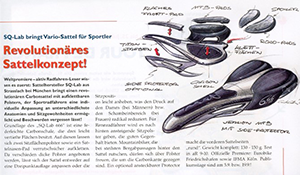 Guide: "The Way to the Perfect Saddle"
Meanwhile more than 400 dealers are trained in ergonomics seminars to solve the problems of cyclists and are equipped with measuring stools. concept Super 6 - the ingenious concept only lights up briefly once and then disappears again. During development, Hild, Staudte and Knöringer came across the active system and concentrated on the ingenious idea of lateral damped movement. 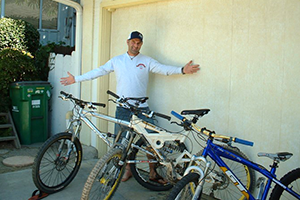 becomes SQlab rider Bike legend Hans Rey now relies on his adventure trips on SQlab saddles. is introduced The first really sporty step saddle 611 with titanium struts and slim form will be presented at the Bike Festival 2004 in Riva. with test victory The first test victory of a really big comparison test and at the same time the start of an incredible series of test successes. 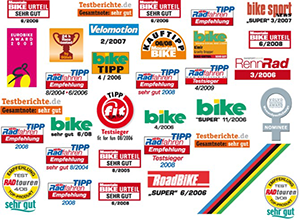 Since then SQlab has been the most successful saddle brand in tests of the German trade press. 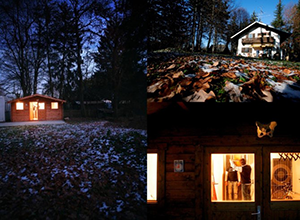 In February, SQlab GmbH is founded in Frundsbergstraße in Straßlach near Munich. A single-family house serves as an office, two office containers as a warehouse, and the development laboratory is initially housed in a small wooden house. Despite limited space, highly sensitive pressure measuring systems are already being used here, scientists and doctors are pressing the button, the founder's mood gives them strength and energy. The real test laboratory, however, is the Munich Isartrails directly in front of the door, where all products of SQlab and all competitors are constantly tested and which will later hit the headlines. 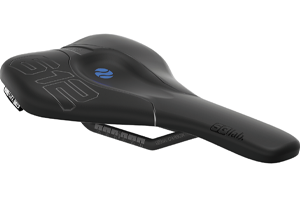 comes onto the market The first SQlab step saddle, the model 601, is introduced. The success is still moderate, although seat bones are already measured diligently, but only in the course of the year the width 15 cm is added to the width 13 cm. Especially with saddles the tool costs are very high and so the choice of saddle has to grow slowly. 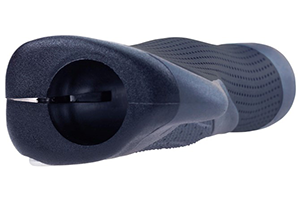 The first 735 wing grips from SQlab come onto the market. 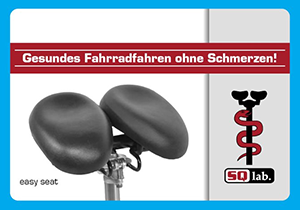 SQlab starts distributing the split saddle Hobson Easyseat from USA. 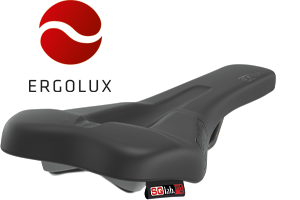 SQlab is the first saddle manufacturer to develop a system for measuring the seat bones and determining the optimum saddle width depending on the sitting position. 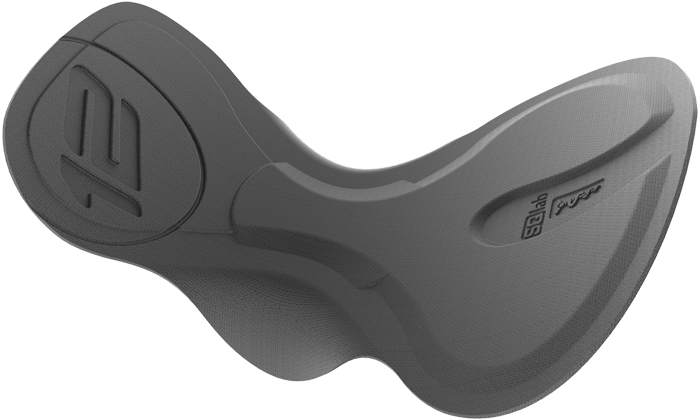 This idea will become established worldwide in the next few years and it is hardly imaginable today to buy a saddle without sit bone measurement. 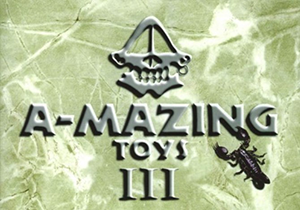 Back then SQlab founder Tobias Hild developed products for the MTB downhill sport, which was still in its infancy at that time, under the brand name Amazing Toys. 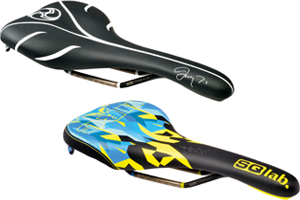 However, the first step saddle and grips with a lock function were also created. However, the company concentrated on downhill sports and these products never reached series maturity.